Teaching is not for the faint of heart. As rewarding as the profession is, it can also be overwhelming to be the caretaker of dozens of young minds while juggling planning, assessments, and trying to keep up with the best new trends in curriculum within your classroom. RSU #18 has four instructional coaches – two at the elementary level and two at the middle school level. Shelly Moody covers Atwood and Williams as an instructional coach and Literacy Specialist while Pam Prescott works part-time with Belgrade Central. Jenny Barry is a part-time teacher/part-time coach for MMS while Dean of Students Meagan Murphy fulfills the instructional coach role at CMS. 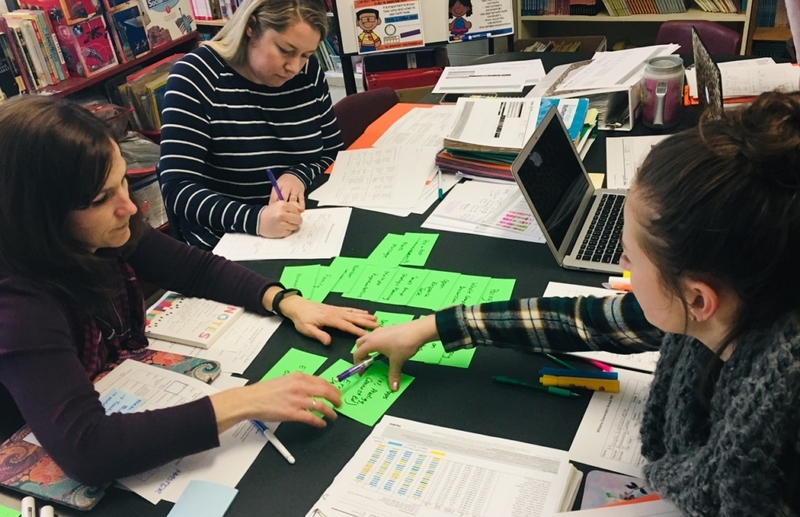 While a typical day looks a little different for each of them, the main focus of the position is always to support teachers around particular goals for student learning. For each of these coaches, it’s hugely rewarding to be able to collaborate with and support other teachers. “My most favorite part of the job is when a teacher expresses their enthusiasm and excitement when they either try something new or focus on a particular strategy and see the success of it,” said Barry. That’s key for all our coaches. These are experienced educators who understand all the struggles that teachers face and want to use their expertise to help. 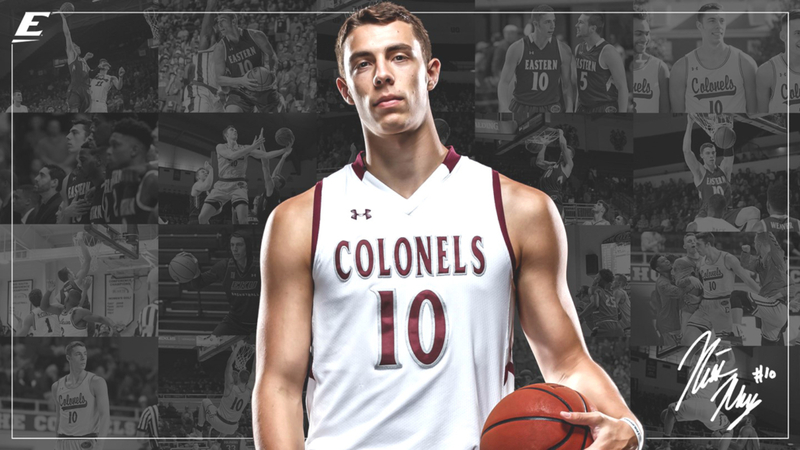 Eastern Kentucky University men’s basketball has high hopes of making it back to the Ohio Valley Conference Tournament this year, in no small part thanks to the skills of Senior forward Nick Mayo. Earlier this season Mayo hit a career high of 40 points in a single game, with a game average of just under 17 shots. He holds the program’s record for career blocks, has already reached No. 2 on the school’s all-time scoring list and is likely to take the top spot within the next few games. The EKU Colonel’s new coach, A.W. Hamilton, describes him as a “once in a lifetime player” and has said on more than one occasion that he is fully confident we will see NBA beside Nick’s name in the future. 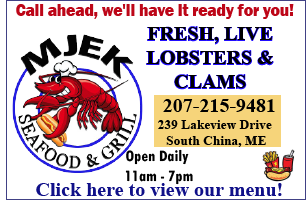 This doesn’t come as a surprise to those of us back in Mayo’s hometown. Mayo, his parents Scott and Jenn, and his sisters Kelsey and Mackenzie called Belgrade home while he was growing up. His parents and younger sister now make their home in Oakland. All three kids attended RSU #18 and played sports in the district. Mayo grew five inches coming into his sophomore high school season, and according to Coach McLaughlin his work ethic grew with his frame. He started having an even bigger impact on the court and during his junior and senior year, college coaches from across the country started to really take notice. Mayo received interest from over 30 Division I and Division II schools, and for good reason, according to McLaughlin. Mayo’s awards and stats speak for themselves, but they aren’t all he brings to the court. McLaughlin describes him as the glue that held the teams together during high school. The now 6-foot 9-inch forward has been named to the All-Ohio Valley Conference first team after each of his first three seasons, regularly breaks school and personal records, and still has a humble attitude. In interviews, Mayo is always quick to point out that he’s not alone on the court and always gives his teammates and coaches credit and praise. “We as a community are lucky because he models exactly what it means to be a Messalonskee Eagle to all of our youth,” said McLaughlin. “I could not be more proud of him! I cannot wait to see what his future has in store for him!” The sentiment is echoed by many friends, family, and community members who are staunch followers of Mayo’s career. Two years ago, a bus full of fans from Central Maine sporting “Team Mayo” shirts attended an EKU away game in Manhattan. The Maine Soccer Coaches held their 45th Annual Maine Soccer All-Star Banquet Sunday in Bangor. Presentation of Awards included the 24th Maine Soccer Coaches Senior Bowl MVPs, Northern and Southern Maine Regional All-Star teams, Northern and Southern Maine State teams, Maine Soccer “Coach of the Year” Awards, United Soccer Coaches “Coach of the Year Nominees, Class “Players of the Year” Awards, All Region Awards and All American Awards. Over 200 high school boys soccer students attended the banquet from throughout the state of Maine. Local awards were presented to Northern and Southern Maine Regional All-Star teams that included senior Carter Lambert, a keeper from Messalonskee High School, in Oakland, senior Ben Danner, mid-fielder from Waterville High School and senior Isaac Lambrecht, forward from Winslow High School. 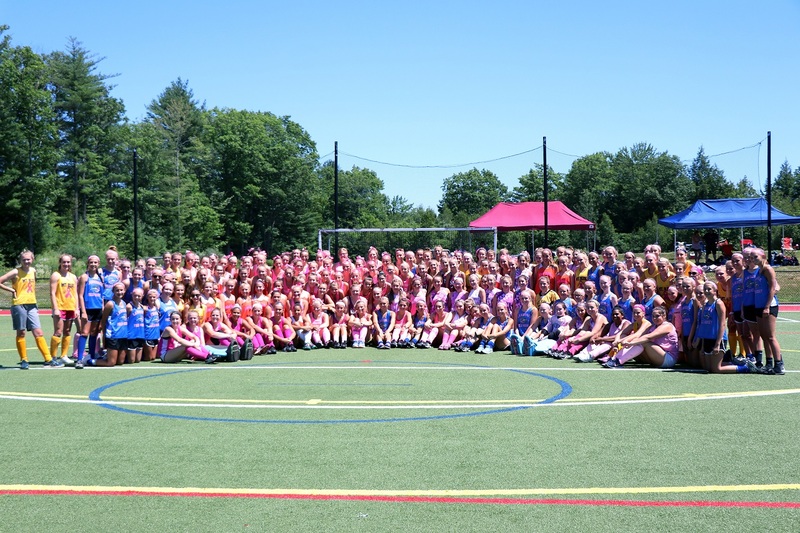 On July 21, field hockey teams from Skowhegan, Messalonskee, Mt. Blue, Nokomis, Winslow, Dexter, MCI, Lawrence, and Winthrop, in Central Maine, participated in the 8th Annual Battle For Breast Cancer Tournament at Thomas College, in Waterville. Now in its eighth year, more than $163,600 has been raised since 2011 for the beneficiary, the Martha B. Webber Breast Care Center, a program of Franklin Memorial Hospital, in Farmington. 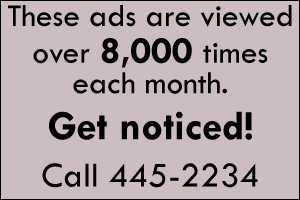 Diagnostic breast imaging, biopsies, lab services, surgical consultations, and post-surgical garments are just some of the examples of how the money has been used. This year’s event was another huge success and all of the teams together helped raise $34,126.85, the most yet in a single year. Fellow alumni for the 98th year of the Oakland Alumni to celebrate on August 11, at the Waterville Elks Club. We also invite those who attended Belgrade High School. Alumni includes those who attended these schools even if they didn’t graduate. Come to enjoy the companionship of those you might not have seen for years. See who will receive the Eagle Award for life accomplishments. Help us to find alumni for whom we may not have addresses. The Williams High School class of 1968 will be there as well as the Messalonskee class of 1973. 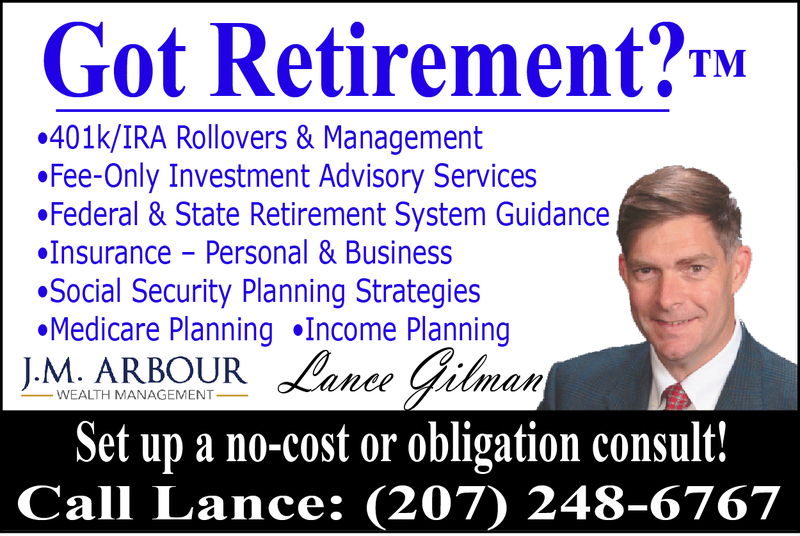 Call president Dana Wrigley to have information sent so you can sign up and not miss the fun day (207) 314-6676. Oakland, Williams, Messalonskee alumni committee members invite you. 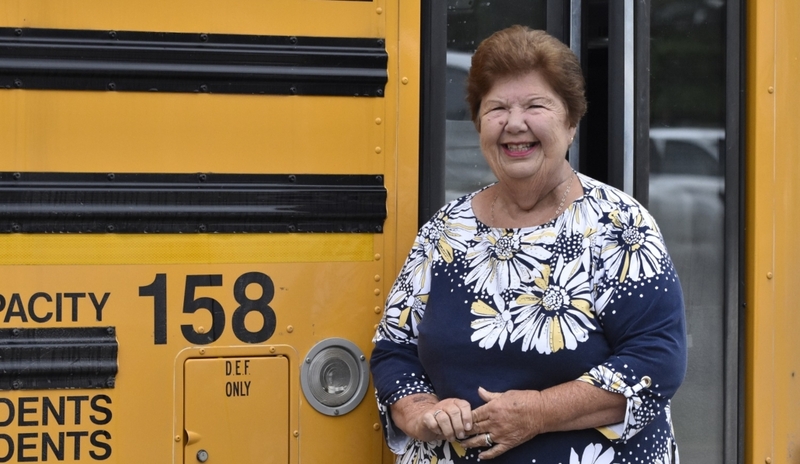 Donna Pullen, a 51-year veteran school bus driver for RSU #18 Messalonskee School Department was treated to a surprise retirement party by her fellow bus drivers and supervisors recently. 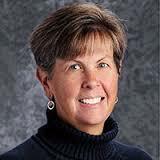 She plans to retire at the end of this school year. Pullen began her employment in the nutrition department at the school. She was asked several times to become a bus driver, but she always responded that she could not drive a bus. However, in 1967, after many requests, she began her driving career. “She has gone through three generations of kids,” according to Lennie Goff, Transportation Director of RSU #18. “She drove summer trips and has not stopped,” he said. 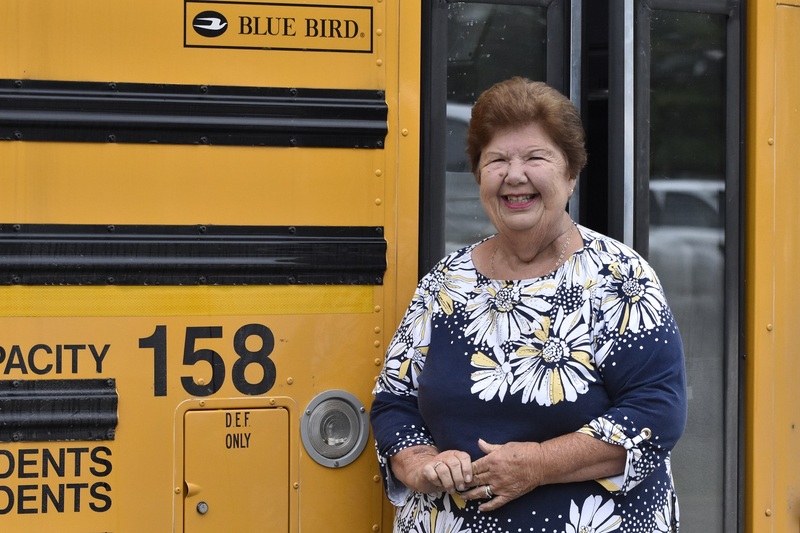 “Donna has always had the perfect words at the perfect time to help me feel better about myself when I began as transportation coordinator almost four years ago,” Shannon Bizier said. 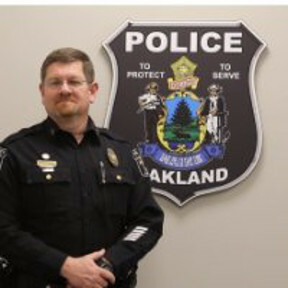 Pullen, who resides in Oakland, has been very active in her community affairs. She has served as a public servant, worked on the budget committee, and served on the Fire Department Auxiliary. She was also named Driver of the Year in 2015. 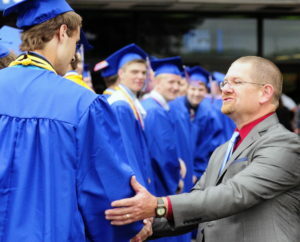 “Donna has gone above and beyond,” Goff said. Mike Perkins, State Representative presented her with a Legislative Sentiment from the 128th Legislature at the celebration. Perkins is also Safety Officer of RSU 18. Regional School Union #18 district budget meeting will be held on Tuesday, May 29, at 6 p.m., in the cafeteria at Messalonskee Middle School, in Oakland. Students from SAD #49, in Fairfield, and RSU #18, from Messalonskee High School, in Oakland, participated with many students from all over New England in designs programs motivating more than 450,000 young students from in 88 countries to pursue education and career opportunities in science, technology, engineering and math skills. 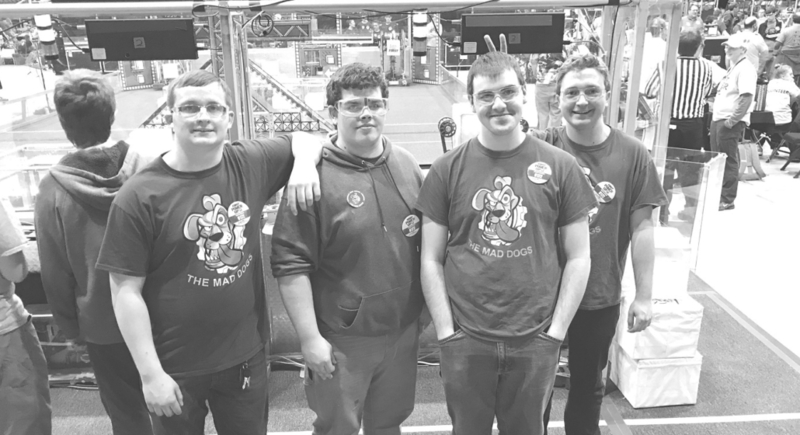 The robotics tournament put teams together to see what students can accomplish using creativity, problem solving and teamwork with the help of mentors from the worlds of education and business. The future workforce learns how to collaborate, encourage one another and persevere in this year’s challenge FIRST Power UP, according to the Pine Tree District Event Planning Committee’s program release. Students compete on time clocks by using Robots working together to exchange power cubes, climb the scale tower to face the ‘boss’ and try to escape the game. Operators take control for the final two minutes and 15 seconds of the match, scoring points by gaining ownership of the scale or their alliance’s switch, delivering power cubes to the alliance’s vault, using power ups for a timed advantage, parking on the scale platform or climbing the scale to face the boss. 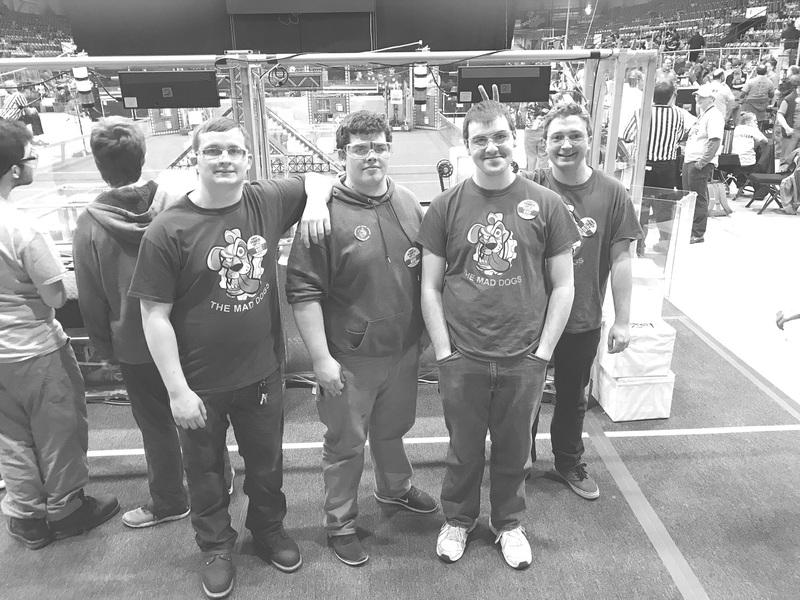 The alliance with the highest score at the end of the match defeats the boss and wins. The program highlights indicate that it’s the hardest fun you’ll ever have. What is ‘this’? Take your pick. Terrorists and school shooters. Bomb threats and bullying. Our students and teachers have a lot to deal with these days. The fact that nothing is completely foolproof hasn’t stopped our local law enforcement and school administrators from laying down the best possible plans. In researching this article, not only did I speak with Deputy Chief Mills, I also sat down with high school principals Chad Bell, of Winslow, and Paula Callan, of Messalonskee; Headmaster Michael McQuarrie, of Erskine Academy; and Detective Sergeant Tracey Frost, of the Oakland Police Department and one of two school resource officers for RSU #18. Fifty years ago, schools were primarily designed around the fear of fire. Plenty of exits. Regular fire drills. Today, those concerns have shifted to include “access-point control” and lockdown practice. Fire is still a concern, but now each additional exit or entrance is also a point of vulnerability that needs to be considered. Those changes are obvious by looking at the design of our schools over time. Messalonskee High School, built in 1969, has 37 exits, while the middle school, constructed nearly 50 years later, has only ten. These warring priorities of access and security are a constant theme for administrators looking to update their facilities for the 21st century. Schools have responded to the new safety concerns in various ways. 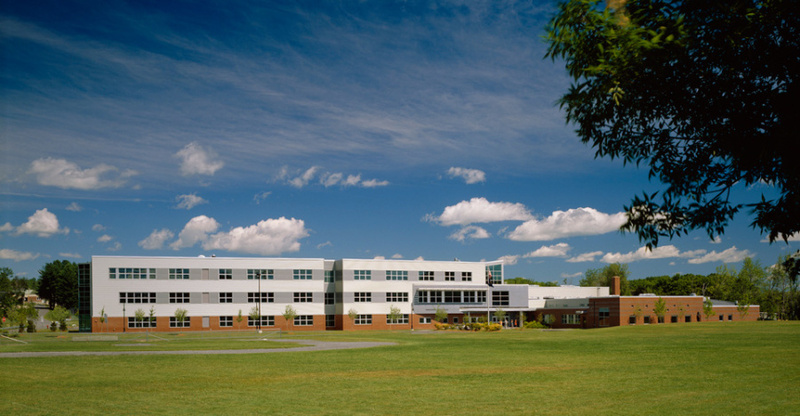 Messalonskee High School, like many area schools, has implemented a buzz-in system for the front entrance, and keycard-only access for outlying classrooms. Anyone coming to the front door is required to press a button which signals the front office. After verifying your identity, the door is unlocked and you can enter. Winslow High School does not have this system yet, but Principal Chad Bell told me its implementation is at the top of the school’s list of priorities. New policies have been implemented in both schools restricting which exits can be used during school hours in order to more carefully monitor who is entering the building. Erskine Academy has its own set of challenges. It’s the only school without a full-time school resource officer and, located on the outskirts of China, it faces the longest response time from law enforcement in case of emergency. Though Erskine’s main building does not have a buzz-in system, external classrooms now require keycards to enter, and all classrooms have been fitted with deadbolts that lock from the inside. Security upgrades have not only encompassed entrance and exit points. Classrooms have also received attention. In older buildings, classrooms were primarily designed to prevent students from being accidentally locked inside. As such, classrooms could always be opened from within, but often could only be locked from the outside, with a key. Now, schools are preparing for situations where being locked inside a classroom might be the safest place for a student to be. Winslow has come up with a simple and low-cost solution to the problem. Instead of replacing the outdated locks at significant cost, they have installed a thin, magnetic strip that covers the strike plate of the door jamb. Doors are always locked, but with the magnetic strip in place, they can be closed without latching. In the event of a lockdown, anyone can pull the magnetic strip away from the door jamb and close the door, latching and locking it securely. It’s a simple and elegant solution to a problem that can pose a substantial cost to schools faced with regularly insufficient budgets. Classroom doors at Messalonskee High School are kept locked but left open so they can be pulled closed at a moment’s notice. Security cameras have also become a fixture at our schools. Winslow High School has 30 security cameras installed, and although there’s no buzz-in system yet, safety and security are a top priority for the staff. Both times I visited the school, I was asked my business within seconds of stepping through the front doors. Messalonskee High School has only ten cameras, and the system desperately needs replacing. Installed seven years ago, camera resolution is far below current standards and, after operating 24/7 for nearly a decade, quality has degraded even further. The school intends to replace the system and add more cameras soon, but, as always, cost is the driving factor: new books or new cameras? All of the school administrators I spoke to were in the process of investigating additional training programs to help them prepare for the unthinkable. Three specific such programs seem to be most popular here in central Maine. The final program, which Officer Frost has adapted in large part for schools in RSU #18, is called the Standard Response Protocol. It was developed by the “I Love U Guys” Foundation (iloveuguys.org), an organization started by the parents of a girl killed in the school shooting at Platte Canyon High School in 2006. Frost particularly likes the program’s way of presenting its concepts with colorful, kid-friendly materials, and its method of using what Frost terms “teacher speak:” a common lexicon of terms that make communication between students and teachers simple and unambiguous. The foundation was named after the last text message sent from the girl to her parents before she was shot and killed. For law enforcement and school officials both, the introduction of the internet has complicated things, especially in the area of identifying possible threats. In the old days, threats came by way of graffiti on bathroom walls, an anonymous phone call or an overheard conversation. Today, none of those avenues have disappeared, but now there is also Facebook, Twitter, Snapchat, email, and internet discussion boards to worry about. Add to this the tendency for children to post their thoughts on the internet without fully considering the implications of their words, and it’s common for casual threats to be bandied about on social media platforms with little thought of serious evil intent. In our current safety-conscious climate, however, each of those casual threats must be run down by law enforcement, which takes time away from other, equally important, tasks. Thankfully, central Maine is still small enough that this hasn’t become the insurmountable effort that it has in bigger urban areas. “We still have the ability to follow up on every tip,” Augusta Deputy Chief Mills assured me. 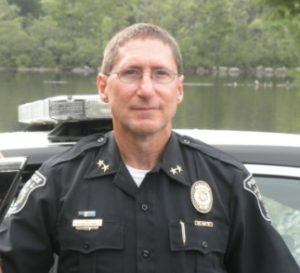 Local law enforcement works closely with the Maine State Police Computer Crimes Unit and the FBI to track down the source of any online threats. Kids are also figuring out that behavior which might have been viewed as merely mischievous in the past is now considered a serious crime. It starts with parents having a conversation with their kids at home. It continues with teachers and administrators creating a school atmosphere where students feel comfortable bringing their concerns to adults. It ends with law enforcement and the courts, which are dealing out tough sentences for online threats of violence. It’s not unusual for students to be expelled, fined or even jailed for such behavior, as happened in Skowhegan where two boys were recently charged with terrorizing, a class C felony; or in Ellsworth where, this past February, police arrested a 19-year-old student for making threats against the high school in a chat for the online game Clash of Clans. Despite the challenges, school officials are determined to make student safety a priority, whatever the cost. “You can’t put a price on a student’s life,” Messalonskee principal Paula Callan told me firmly, as we shook hands at the end of our talk. In the face of this scary new world, these heroic public servants are taking no chances with the safety of our kids. Eric W. Austin is a writer and consultant living in China, Maine. He writes about technology and community issues, and can be reached by email at ericwaustin@gmail.com. When students arrive at Messalonskee High School, the first face they often see is that of Detective Tracey Frost. “Frosty” as the kids call him, is a reassuring presence, rather than an intimidating one. He has a booming “good-morning,” a witty comment for each kid, and can call most of them by name. At Messalonskee Middle School, Sergeant Adam Sirois starts his day in a similar manner, greeting students with a smile and a quiet “hello,” complimenting their hat, asking about their weekend. “He is always chatting with the kids, either one on one or in small groups,” said head Administrative Assistant Tracey Foster. While the national media has, naturally, been focusing on the role that school resource officers may play during an incident of school violence, that is only one of the many situations where these officers may be called on to protect students. According to Superintendent Carl Gartley, having armed SROs has been key in keeping students safe in a variety of situations that could have become much more difficult without their intervention. Their presence is also extremely reassuring to the school community. “Students and parents appreciate having Detective Frost in our building as he is a great resource for them to reach out to when they have specific issues that they need help with,” said MHS Principal Paula Callan. 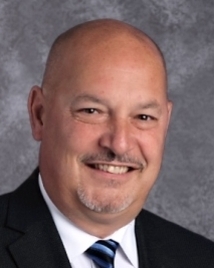 She also added that he is the school’s “go-to person” for delivering food baskets and gifts to families over the holidays, and behind the scenes, he is in charge of running drills and updating staff on security protocol. Forging relationships with the students they work with is key for SROs to be effective. For Sirois, it’s also his favorite part of the job. Many of the students he works with frequently need more “positive interaction with adult authority figures,” and providing that can have a huge impact. 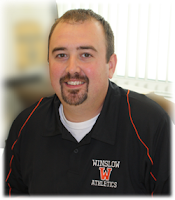 “Adam builds great relationships with students and has many discussions with them on topics around bullying, being safe online, avoiding legal issues and other topics,” said MMS Principal Mark Hatch. Safety in our schools has always been a priority in RSU #18 and will continue to be so. 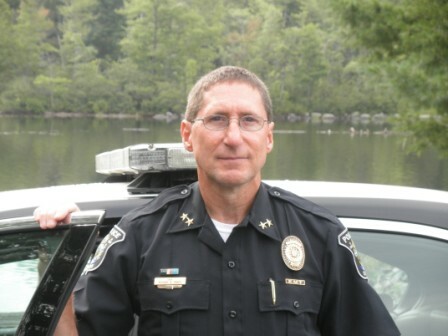 “Unfortunately, just living in rural Maine is no longer enough to say we are safe,” said Superintendent Carl Gartley. “In today’s world, we need to have our building secure, we need to have buzz-in systems and cameras in our schools.” He added that the schools and town are working together to explore a variety of additional improvements that can be made to our security protocol, from the possibility of additional resource officers to modifications in the physical structures of some of the buildings. This article first appeared on the RSU18 website.